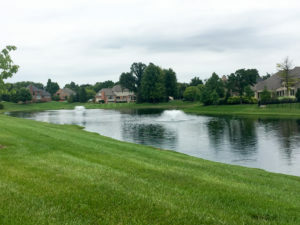 CHALLENGE: There are several homes that overlook The Orchards Tournament pond. It is a detention basin for storm water run-off for the community. This water body constantly receives added nutrients from fertilizers and debris from rain water. GOAL: Keep it algae free and beautiful for the residents. PLAN: Control invasive weeds and algae while allowing native plant growth to continue for a healthy ecosystem. 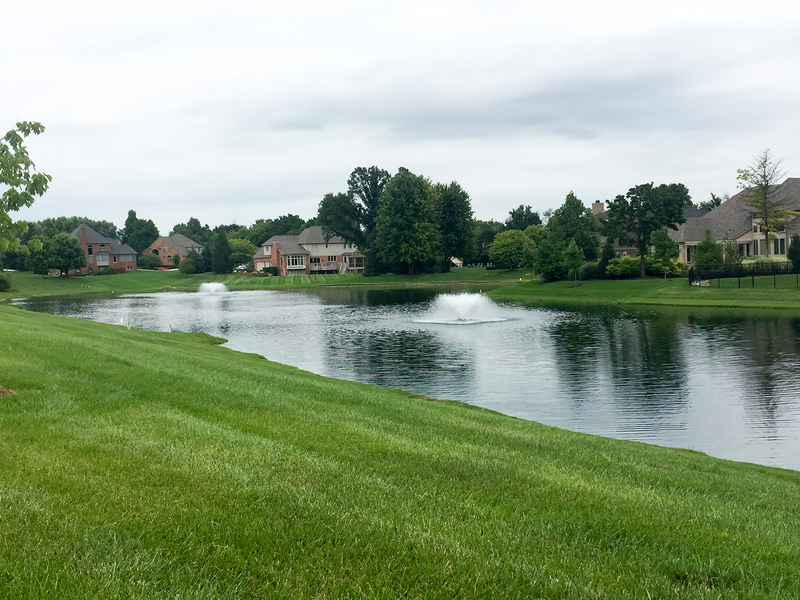 Aeration was added in 2015 to help reduce and prevent muck and another method to add to a healthy pond ecosystem. RESULTS: Even with temps in the 90’s this pond continued to sparkle. This goes to show how important a proactive approach to a pond can be.